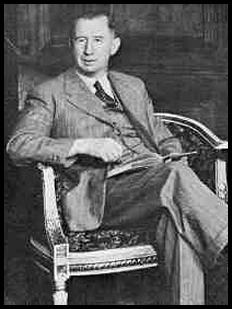 While Nevil Shute did not publish his first works ---two short novellas: "Stephen Morris" and "Pilotage" --- in his lifetime, he used their main theme [an obsession for aviation and its consequences] and so much of the raw material that it could be argued that the main reason he never sought to rework the two pieces [(both very good stories, with strong hints of the future Shute) was that he had already done that very thing. I believe that "So Disdained" was for Shute the same work --a rolled out full-length version of both "Stepehen Morris" and "Pilotage" stories with a more complex plot and character development. It is just such a thing that a young writer would do if he felt that he had a truly good idea that he had unsuccessfully attempted to develop in his earliest work. Shute said that he believed his original stories were not of sufficient quality to publish, which publicly accounts for his reluctance to see them in print. However, that does not explain why he never went back to them when he was a more mature writer. [This character foreshadows Maurice Lenden, the misfortunate flier in "So Disdained".] Lenden, too, was obsessed with flying and gave everything to get back into it, even to the extent of treason and the loss of his wife, the former he never considered and the latter he deeply regretted. Shute developed Lenden's character with a new complexity, relating the account of his failures in a joy-riding flying concern and as a surveying flier in Central America prior to going to the Soviet Union as a pilot. On page 33 in "Stephen Morris", the name Rawdon appears, the owner of the aircraft company in "So Disdained" [another common character to the works]. On p. 186 of "Stephen Morris" -- the "Pilotage" novela-- Sheila echoes passages in "So Disdained." "A man isn't like a girl, you know," she said, almost to herself. "A girl when she marries is quite happy with her home, and her children, and she doesn't want much else. But a man is different. He's like a little boy that has to have his toys... a man has to have his toys, and if you take them away from him you -- you just kill him. ... if a wife take its away from him she can never make it up to him, however much she loves him. It's just gone. ..."
Compare that to p. 128 of "So Disdained" when Maurice's wife says, "A man isn't like a girl," she said quietly. "That's what I didn't know and it's my fault, really. A girl gets married, and she wants a home, and children, and a quiet time. And she puts all that first, and she hasn't got much patience with anything else. And I think a man's a bit like that, too, but only a bit. A man gets keen on other things that don't seem to be any good at all, and he goes and spends all his life on them, even if they don't lead to the quiet time that he really wants. Even if he can't make enough money at them to live properly ... He won't give up. ...It's like a kid with its toys. Music, or the sea, or ... or flying. A man has to have his toys, and if you try and take them away from him -- you just kill him." This sketchy comparison suggests how Shute used the material that was "Stephen Morris" and "Pilotage" in "So Disdained." It may not be conclusive, but it is strongly suggestive that the thesis outlined in the initial paragraph has some merit.